The fishing vest is not dead! A lot of anglers, including competition anglers, are fishing in vests rather than packs these days. Today’s fishing vests look and perform very differently from the old school vests we saw on the water for decades. New vests are high tech and feature-rich. That’s certainly a fair description of the new Pro Vest from Orvis. The Pro Vest has some classic features you’ll recognize and some new features you’ll enjoy. Check out this video for all the details on the new Orvis Pro Vest. 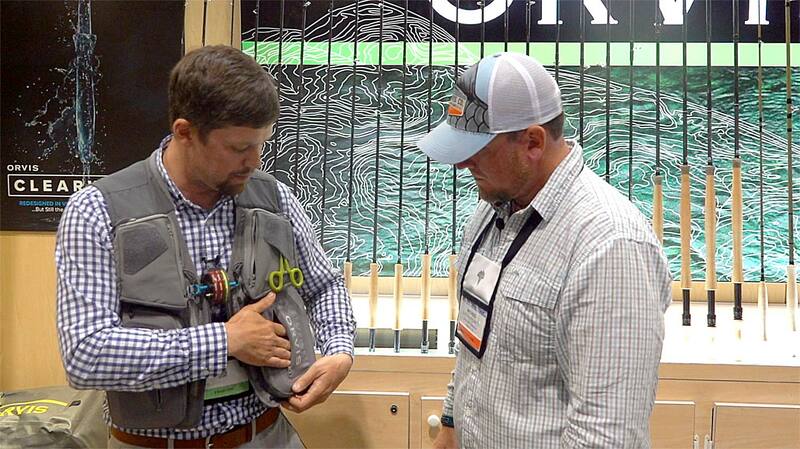 This entry was posted in Fly Fishing Gear, The Hot Ticket, Trout Fishing and tagged CHECK OUT THIS VIDEO FOR ALL THE DETAILS ON THE NEW ORVIS PRO VEST. by Louis Cahill. Bookmark the permalink. I could never understand why people got away from the vest. It’s by far more practical than lugging a piece of luggage around, and organizes your on-water gear so much more effectively. Is the return of the vest a triumph of form and function over trendiness? Could the rounded baseball cap brim and the earringless ear be close behind? Would you mind getting off my lawn? Flat brims work better with wide sunglasses! I’ll get off your lawn, but I’m going to keep skateboarding on the sidewalks!